Phan Thiet was originally developed as a fishing community. Further development came when a number of fish sauce manufacturing plants opened in the city during the later half of the twentieth century, but the city only became a tourist destination in the mid-nineties. As a result of the community’s connection to, and dependence on the sea, the indigenous cuisine was mostly made up of the many varieties of fish, crustaceans and other marine life brought ashore daily by the local fishermen. 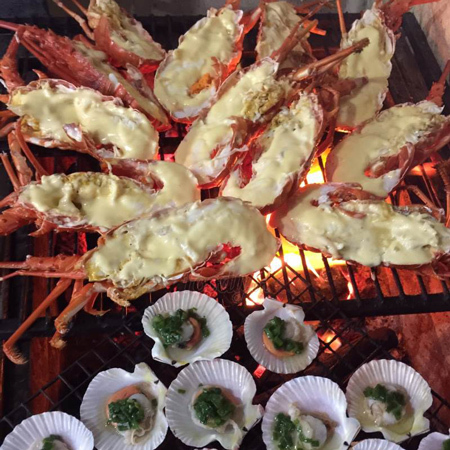 This vast assortment of ocean life allowed the Phan Thiet community to be very creative and invent dishes unique to this part of� Vietnam. As tourism developed, so did the number and variety of seafood restaurants. 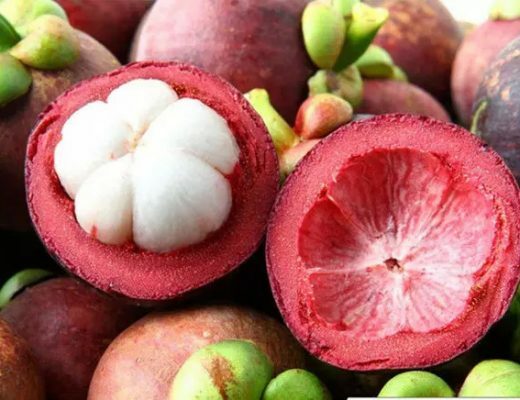 Around the turn of the century, one restaurant became famous as the place to go for fresh seafood.� Cay Bang Restaurant at the border of� Ham Tien and� Phu Hai wards became so popular that the parking area was seemingly always filled with tour buses from other parts of� Vietnam. However, other restaurants began to compete. Since the clientele of Cay Bang was mostly large Vietnamese tour groups, it was not the most comfortable environment for individual diners or tourists. 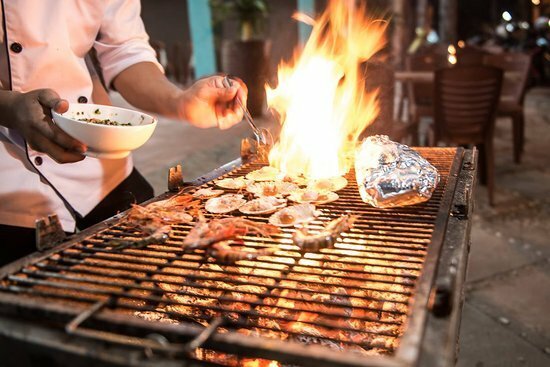 There is a contentious debate about which seafood restaurant is the best, so I will list those that are the most popular with both tourists and locals, along with the pros and cons and let the reader decide which might be the best choice. In 2007 and 2008, some resourceful fishermen and their families set up a couple of tables and a few chairs, plus some plastic tubs with live fish and a charcoal grill on government owned land in the centre of Ham Tien. These impromptu grilled seafood restaurants began to attract many tourists, so more families set up more restaurants. Soon, there were more than a dozen ‘Bo Ke Restaurants’ along the seawall. The problem was that they neither had running water nor toilets, so the hygiene was very bad. Although they are still very popular, these ‘Bo Ke Restaurants’ are notorious for food poisoning and are best avoided. In 2014 and 2015, some Mui Ne residents decided to copy the success of their neighbours in Ham Tien and began opening a number of fresh seafood restaurants near their sea wall, with a view of the town and the fishing boats docked at Mui Ne Harbour. Unlike the ‘Bo Ke Restaurants’ in Ham Tien, those in Mui Ne were built on private land with running water. They comply with government regulations and they are regularly checked by the local authorities to make sure that they are following proper health and hygiene standards. 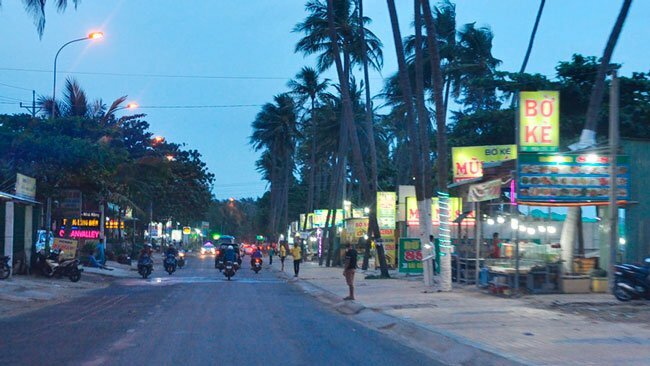 As a result, the ‘Bo Ke Restaurants’ in Mui Ne don’t have the same frequency of reported instances of diarrhea or stomach problems as the ones in Ham Tien. A third� bo ke, or sea wall area in Phan Thiet that is famous for seafood restaurants is not along the coast, but instead, along the Ca Ty River in the city centre. 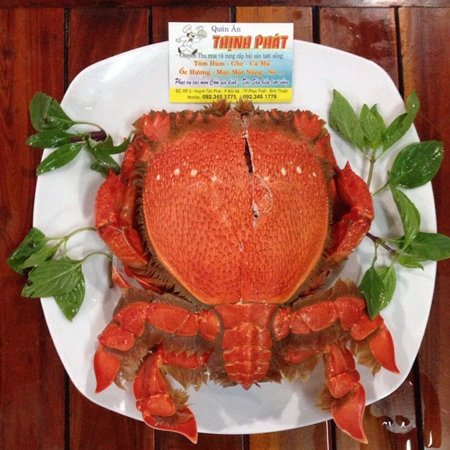 Although there are a number of seafood restaurants on Pham Van Dong Street which runs along the riverfront, the� Thuan Phat Seafood Restaurant at 109 seems to be the most popular. 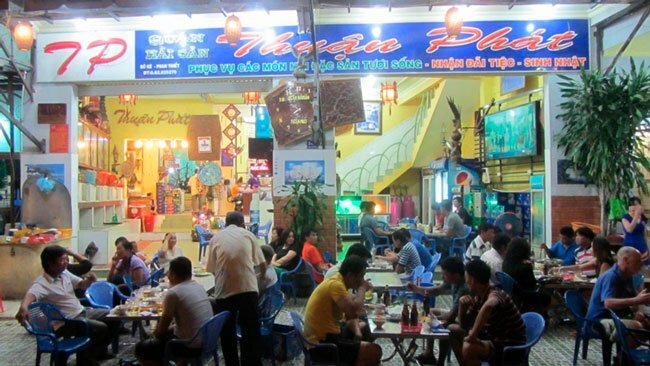 In Mui Ne ward, the most popular seafood restaurant is� Lang Chai Quan at 173 Huynh Thuc Khang. 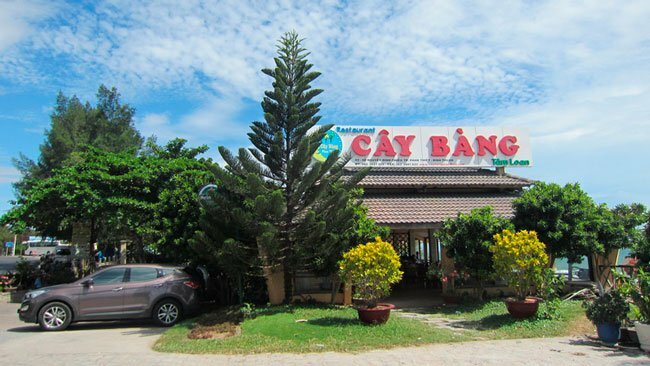 Like Cay Bang, the majority of the customers are large Vietnamese tour groups, but unlike Cay Bang, it has a separate dining area in the front that is mostly suited for individual diners, so the ambience is more comfortable. 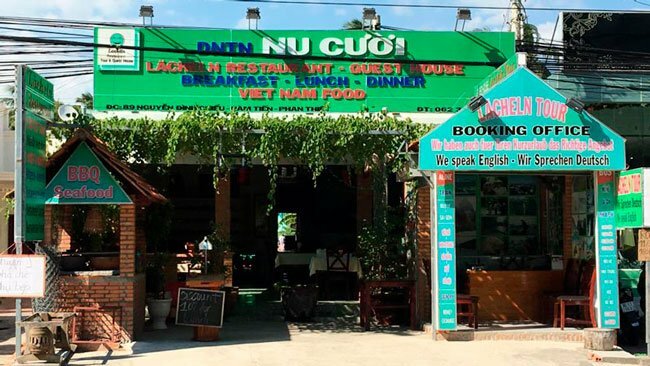 The second most popular seafood restaurant in Mui Ne is filled with locals, rather than tour groups.� Quan An Thinh Phat on Huynh Tan Phat Street is very good and the prices reflect the fact that it is more of a local restaurant than a tourist restaurant. The items on the menu are extremely inexpensive and the service is very good. In Ham Tien ward,� Lacheln Restaurant at 89 Nguyen Dinh Chieu below Mui Ne Hills Resorts seems to be quite popular and the reviews it receives on tripadvisor are generally very good. Another seafood restaurant in Ham Tien ward that I particularly like is� Hong Vinh 1 at 126 Nguyen Dinh Chieu. Although it’s a large open space without a lot of ambience, it sits at the water’s edge with good ocean views. Both the seafood and the service are quite good.